We have a choice of Ukes for those who enjoy this fun little instrument. 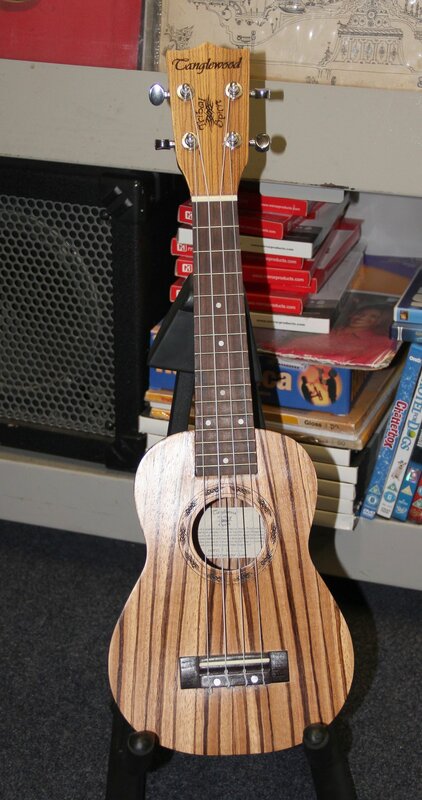 A Les Paul shaped Uke, these do not often come along, an individual and sought after item. Vintage Uke, complete with case. A lovely Uke by Tanglewood, with Tribal Spirit markings. For those wanting something a bit special.